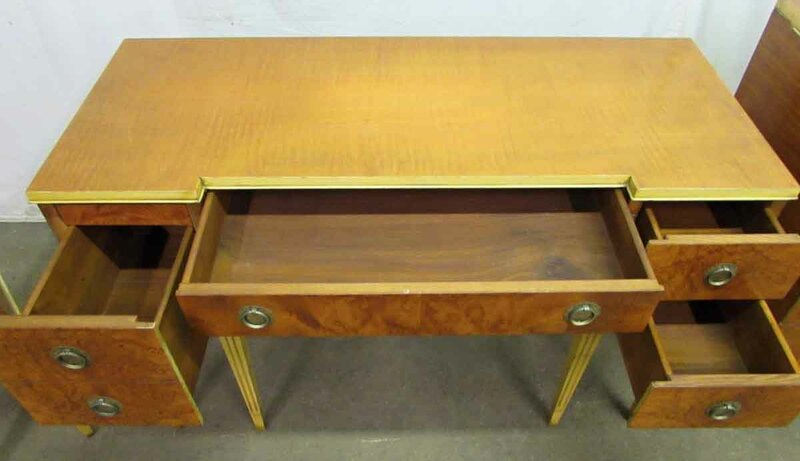 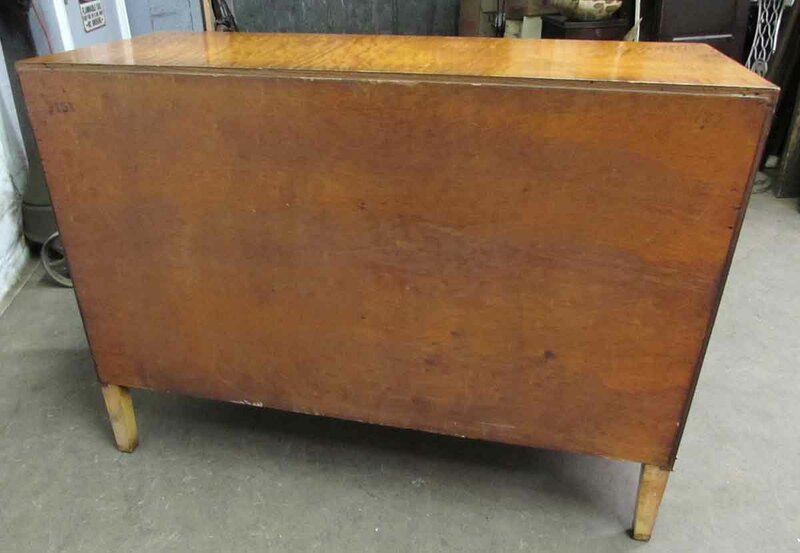 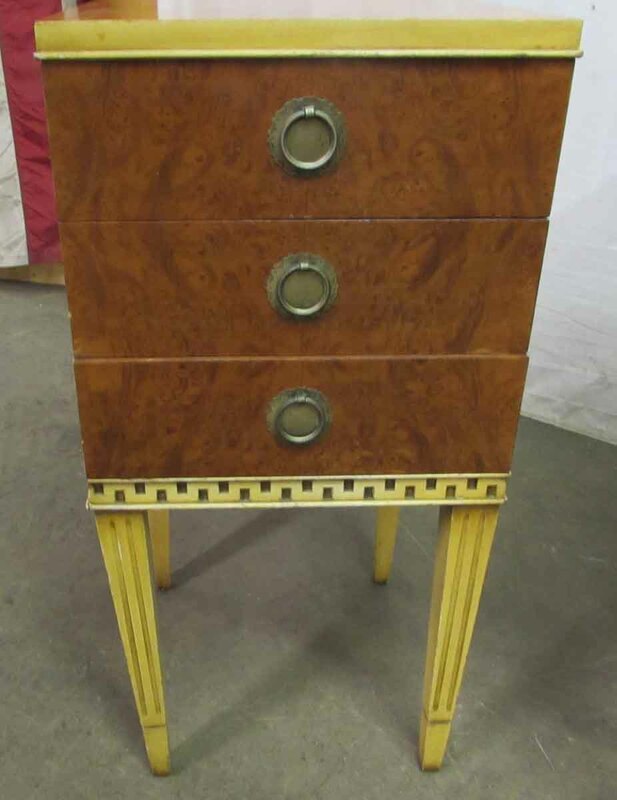 Antique vanity, night stand and dresser. 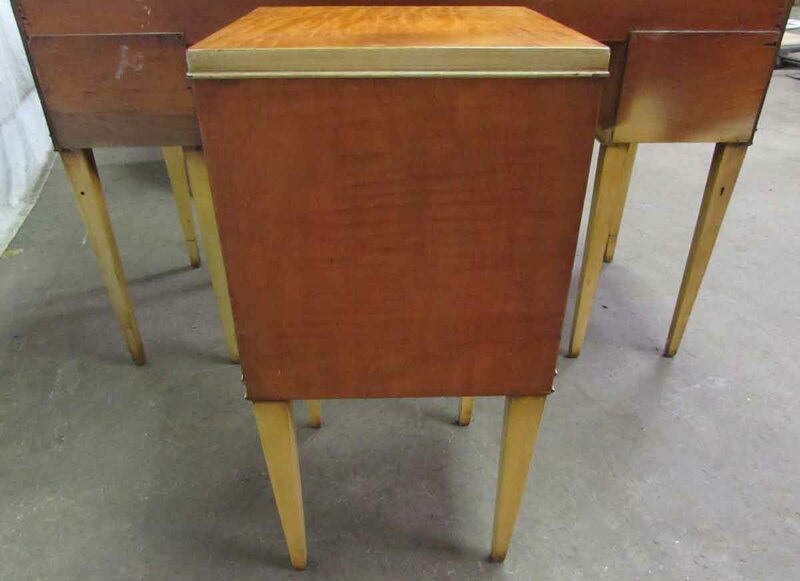 All three pieces are in good condition with the original federal pulls. 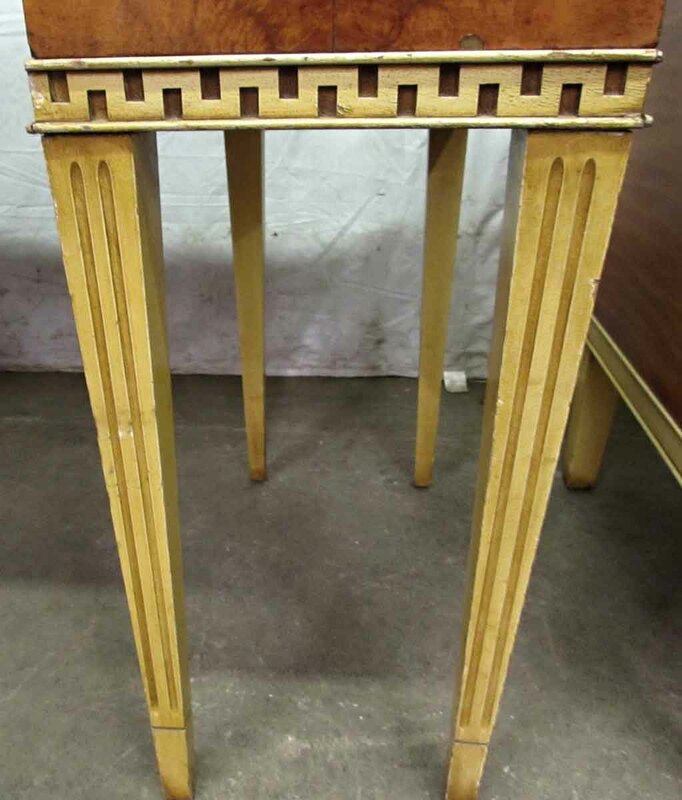 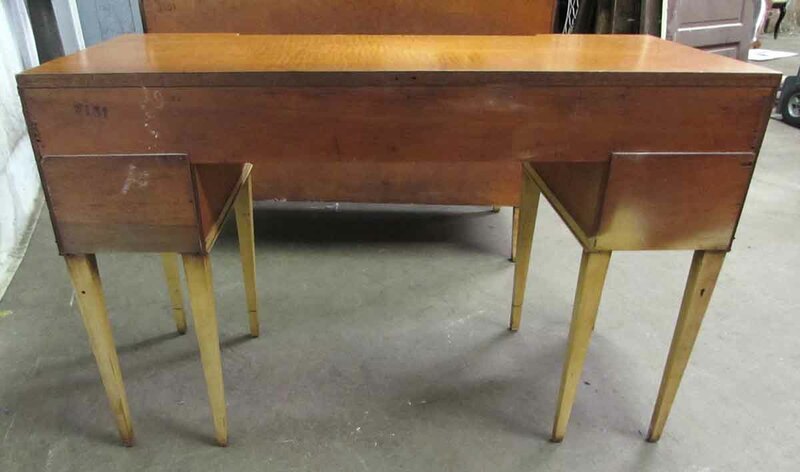 The night stand stands on four yellow painted legs with a Greek key border and three drawers. 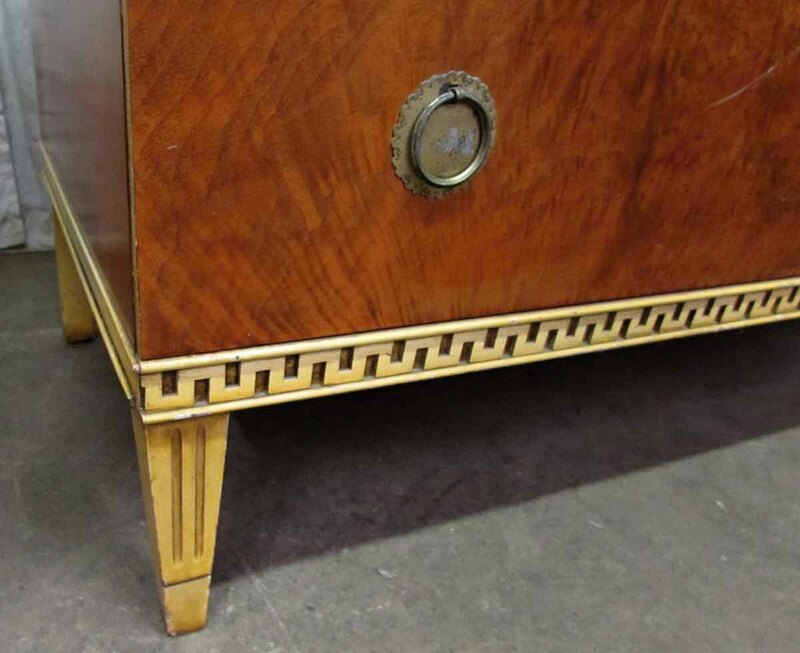 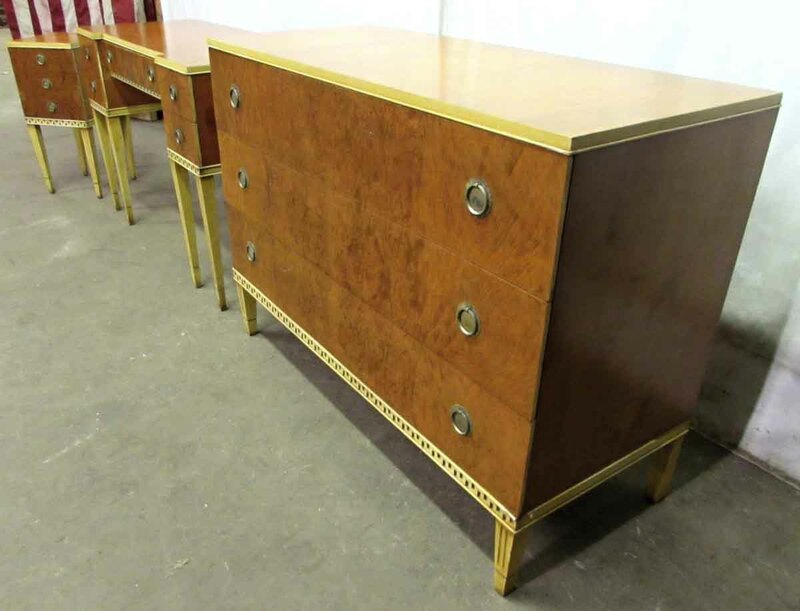 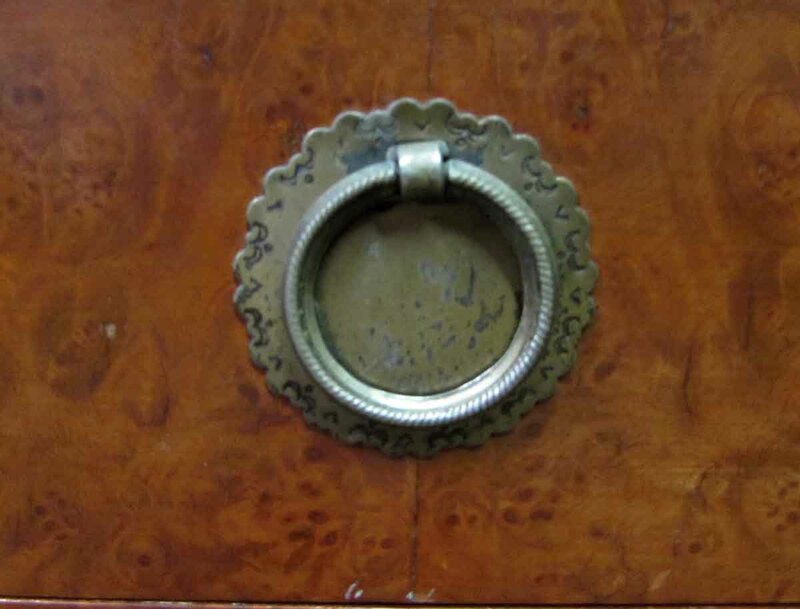 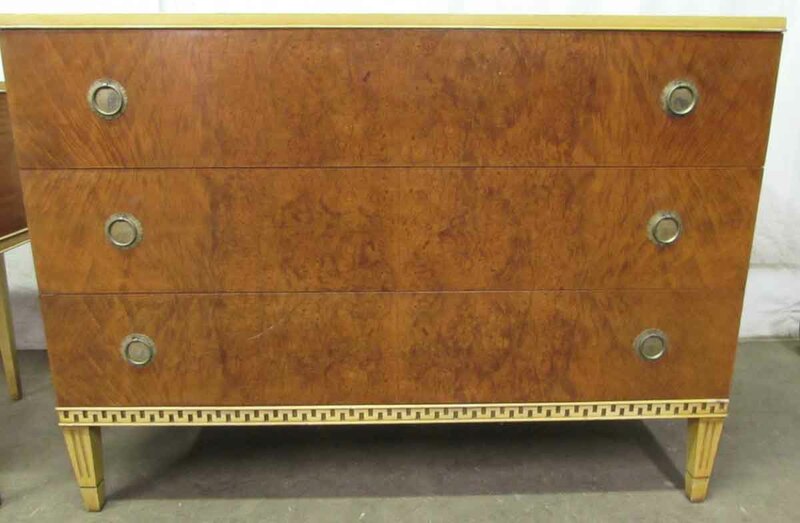 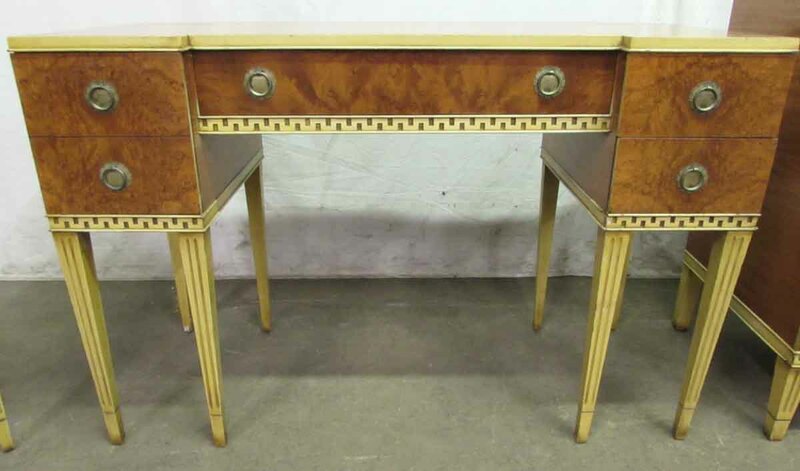 The vanity has eight yellow legs with they yellow carved Greek key design near the base and six drawers. 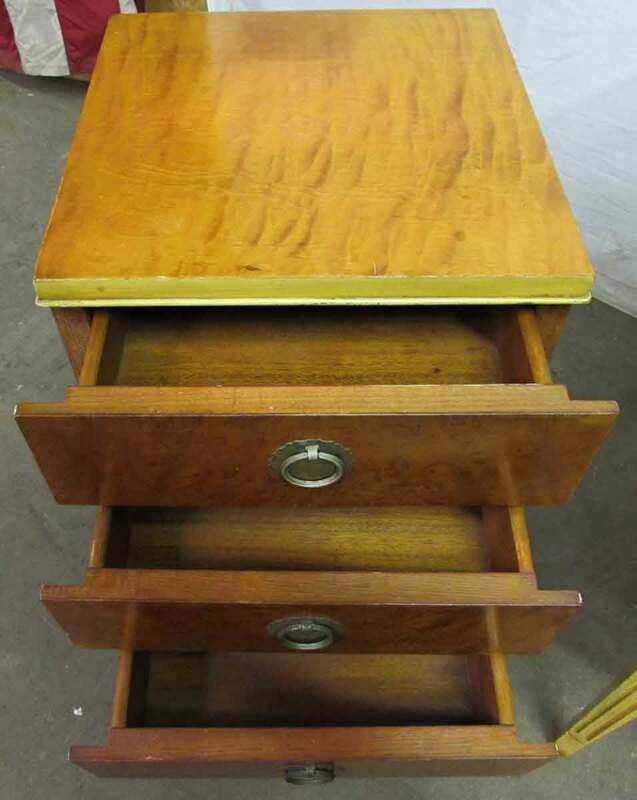 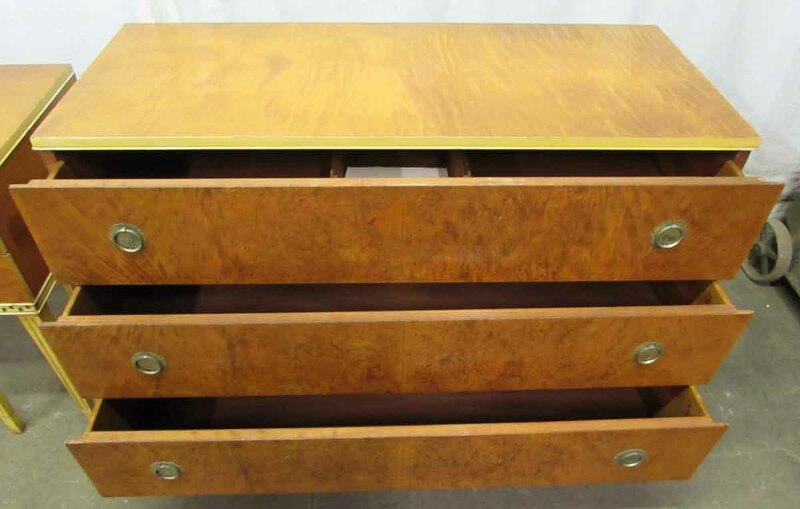 The dresser is the same with three large wood drawers and a wooden top with the yellow Greek key border around the bottom edge and four short yellow painted tapered legs.